Alex & Aron’s wedding is so near and dear to my heart. They are a couple and a wedding that I will never forget about for the rest of my life. I remember meeting them for the first time at their family’s home, and thinking not only are they a stunning looking couple but one of the sweetest people that I have ever met. Being from Texas, they put all their faith in me to produce an extraordinary multiple day event. One of Aron’s must haves for the wedding is to have a Latin artist for the wedding and their hopes was to be able to have it at their family home in Rancho Santa Fe. In my opinion estate weddings are the most beautiful and unique events, but it also comes with the most logistical challenges. Hands down, having a wedding at a home, that is executed flawlessly is a lot of work and it is not necessarily less expensive like how a lot of people think it would be but with professional help it is worth it! For Alex & Aron’s wedding, the result was absolutely stunning! It was a lot of hard work and we faced a lot of logistical challenges but in the end it was perfect and it was worth every minute! I am so thankful for the opportunity to be a part of their special day and I wish them a lifetime of happiness! We designed the layout of the event so that as guests are arriving, they are walking down the driveway to enter through the main door of the home. However, the driveway will also serve as the area for the dinner, so we strategically placed boxwood hedging by Concepts Event Design to cover the pre set up of the dinner. While guests were at the ceremony & cocktail hour in the back of the home, we transformed the front of the property where the driveway was to the dinner reception. With the Market lights stringing above and the beautiful Tuscan style home, it reminded me of dining al fresco in Italy. After dinner we invited the guests back to the back of the house where they were in for a huge surprise! In order to have an area to dance, we had to cover the pool! I came up with the idea to cover the pool with a combination of custom cut ply wood wrapped in dark champagne vinyl to make it pretty. The center of the pool, I had plexi glass installed. The hot tub is above the pool s we create a stage over the hot tub for the band to perform. This part was probably the most challenging portion of the whole event. There was multiple site visits with multiple vendors in order to make this happen. 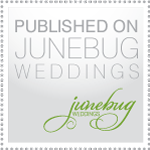 It took us about 6 months to nail down a Latin Grammy Award Winning performer for the wedding! We also had to ensure the lighting and equipment fulfilled their request in their rider. All the electrical and equipment component was so foreign to me but it was such an amazing learning experience. The stage and pool cover turned out magical and was even better than I envisioned. I lost a lot of sleep just worrying about everything coming together perfectly and we don’t hit any bumps in the construction. Alas, it was gorgeous and the couple got the concert for their wedding that they have always dreamt of. I remember the relief and excitement that I experienced when I found out Aleks Syntek has arrived and was tucked away safely in the home to surprise the guests! The sound, the lights, even the way the lights hit the mist in the evening was amazing! Thank you to the amazing vendors that helped make this happen! The time to propose is approaching! Let us help you make it amazing! Whenever I meet a couple for the first time for our intial consultation, I love asking fun questions like “How did they meet?” “What do they like to do together” and of course “How did he propose?” The last question is my favorite because I can see the groom starts blushing a little bit, and the bride starts getting giddy. There has been so many times though that the groom tells me his plans didn’t happen as he expected or wanted it to and the photographer they hired did a terrible job capturing the moment. It’s a spur of the moment type of thing, and like your wedding, there are no do-overs. Asking your girlfriend to marry you is really the moment she has been waiting for her entire life, and it’s the most anticipated moment until the wedding of course! But trust me, the “popping the question” part, us girls agonize over it and when and how it will happen! I want to make things a little easier for you and at Wynn Austin Events, like our events, we want to make the moment go flawless and special for the both of you. For the groom, whom I’m sure is already so nervous as it is, let us take care of everything for you so that all you have to do is show up! So Grooms, what is covered in Proposal Plannning? *The How: We will work with you and brainstorm on different ideas on how you would like to propose and where. *The Plan: We will design and set up and execute out all the fun things that we come up with together. We will also be there (incognito) to make sure everything goes as planned! The time to propose is approaching so please contact Wynn at info@wynnaustinevents.com or (858) 334-9059 so that we can give you a customized proposal and pricing. Alexandra & Aron Wedding Highlights – RSF – NR3 Video Productions from nr3videoproductions on Vimeo. Thank you so much for doing such a fabulous job at our wedding/reception! It was better than I even imagined! We will always think of you first for future parties! It was so great working with you Thank you!